The International Energy Agency (IEA) is the world’s most influential provider of energy information. Its flagship World Energy Outlook (WEO) projects energy supply and demand to 2040, under three different scenarios. 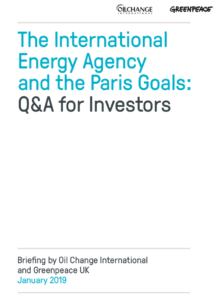 Investors often use the WEO to assess energy investments. Contrary to the IEA’s claims, its ‘Sustainable Development Scenario’ (SDS) is not aligned with the Paris goals. Using the SDS (or any other IEA scenario) to assess the climate-robustness of energy investments may understate the degree of transition risk. The SDS does not give a useful guide to the decisions and actions needed to achieve the Paris goals, on either fossil or clean energy. 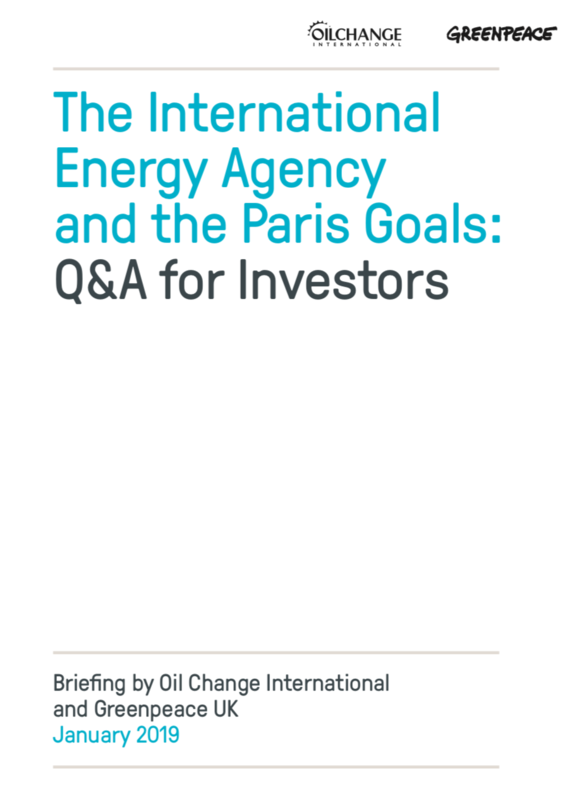 Investors are increasingly engaging the IEA in order to address this gap.